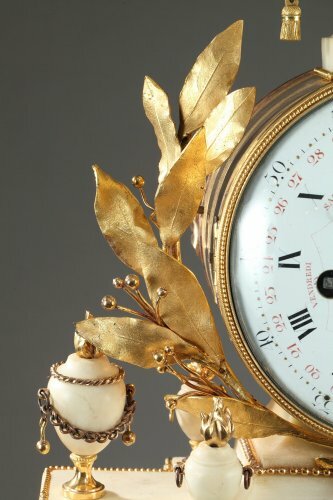 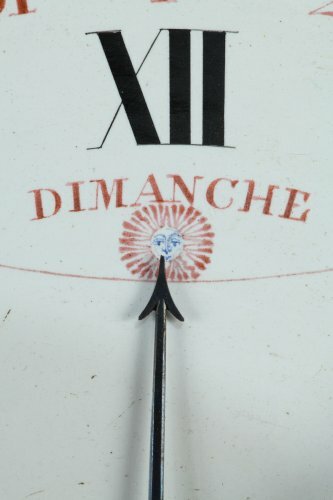 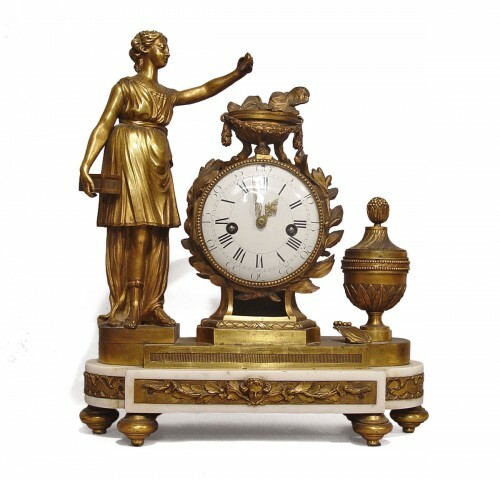 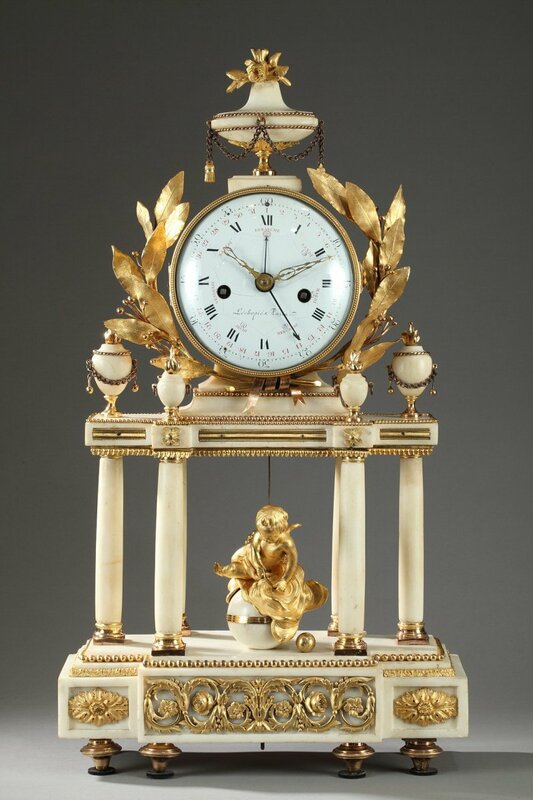 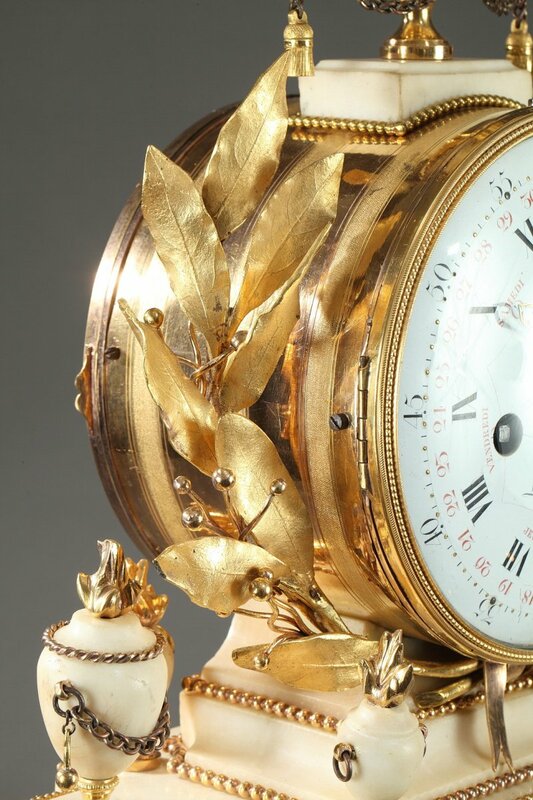 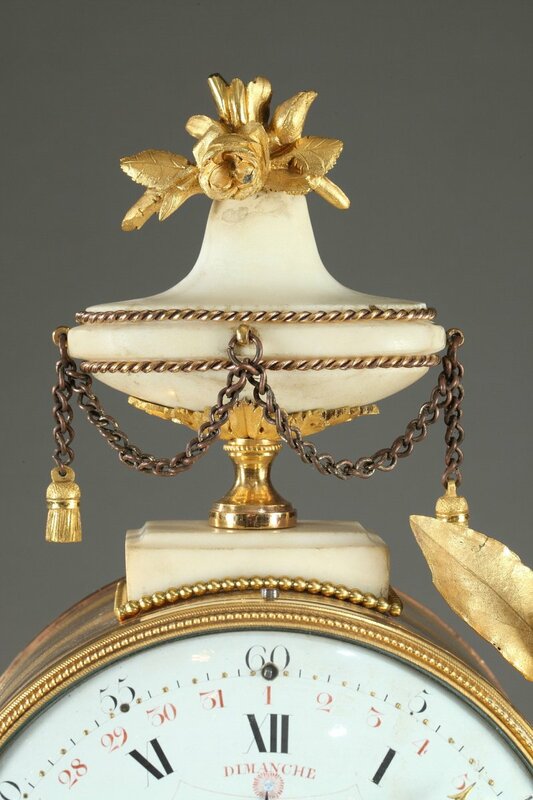 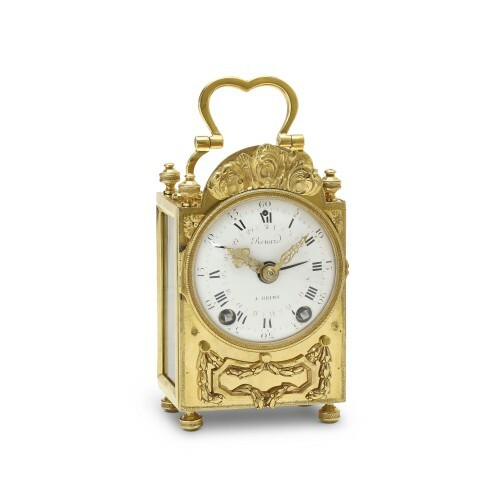 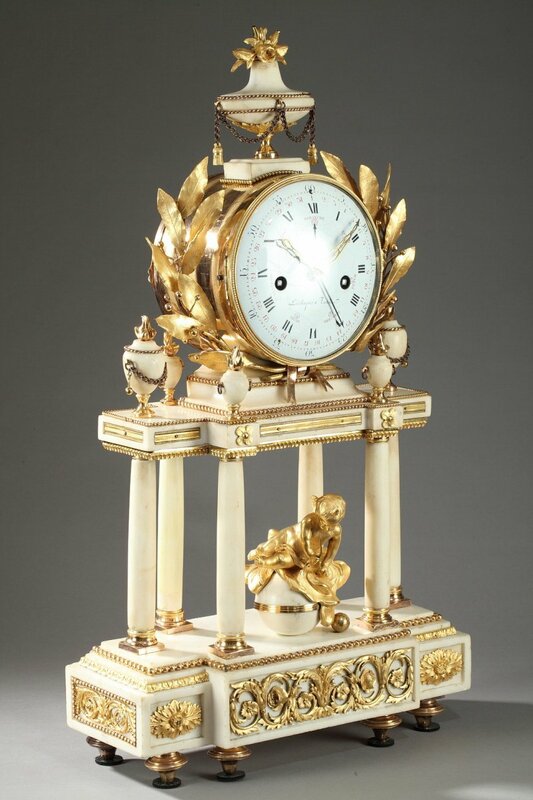 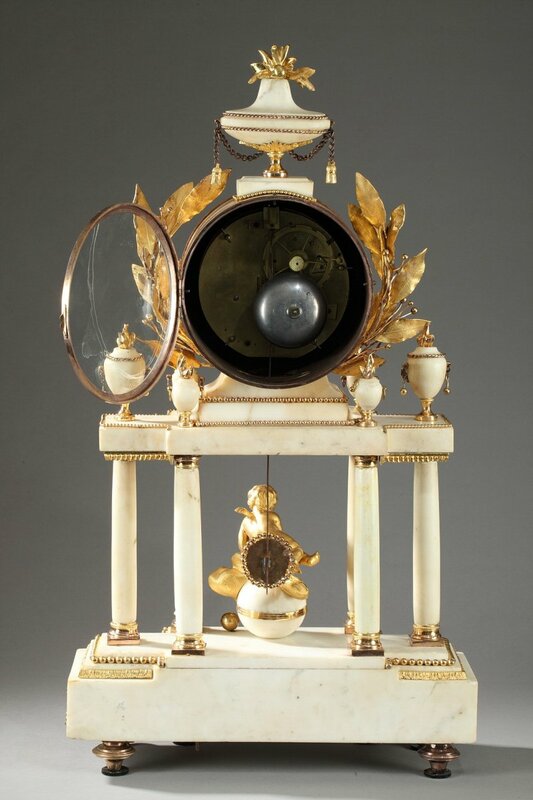 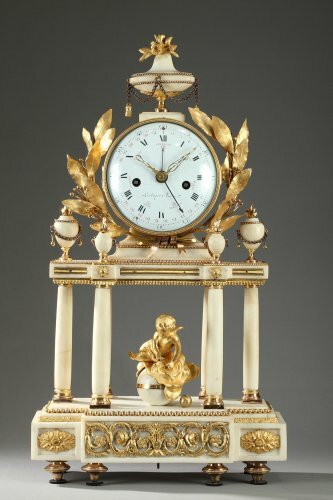 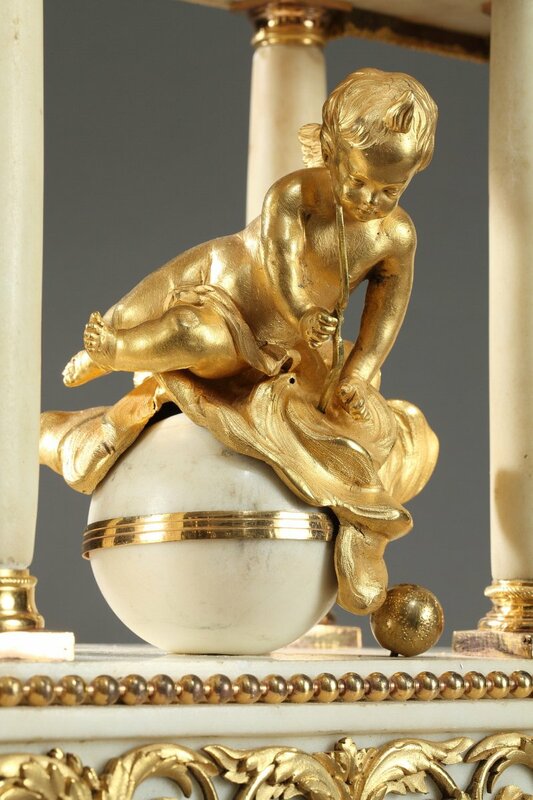 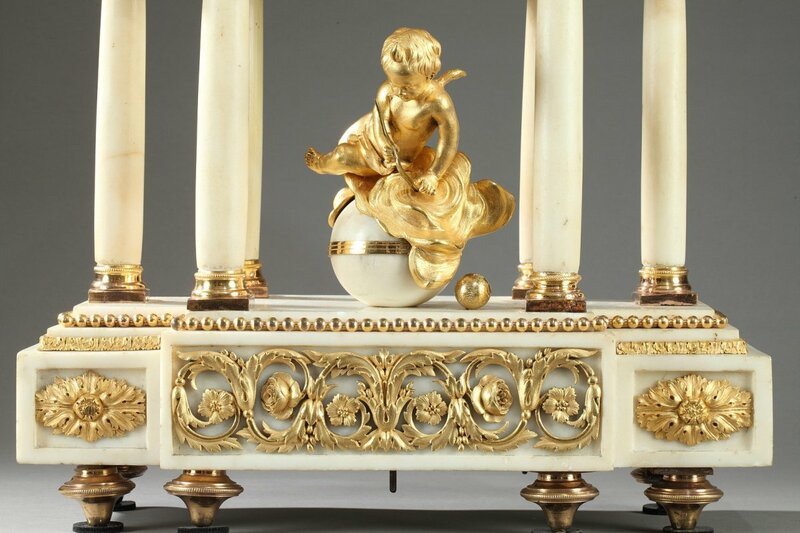 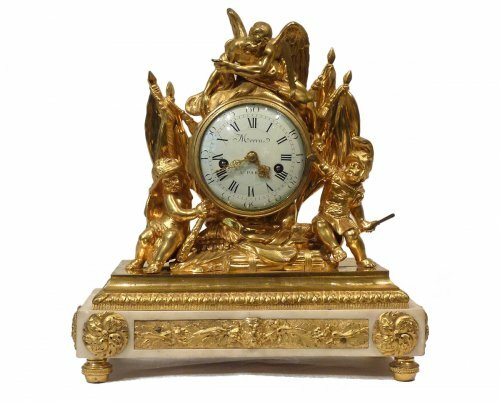 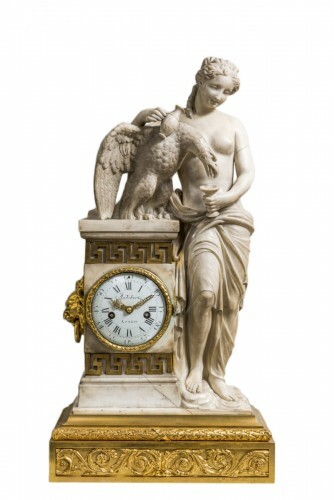 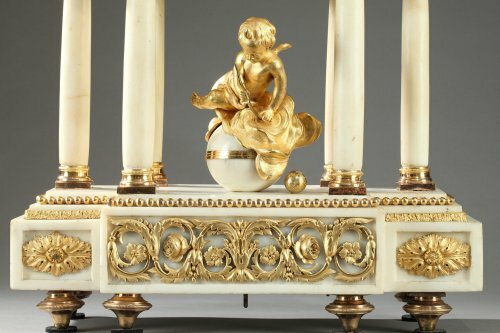 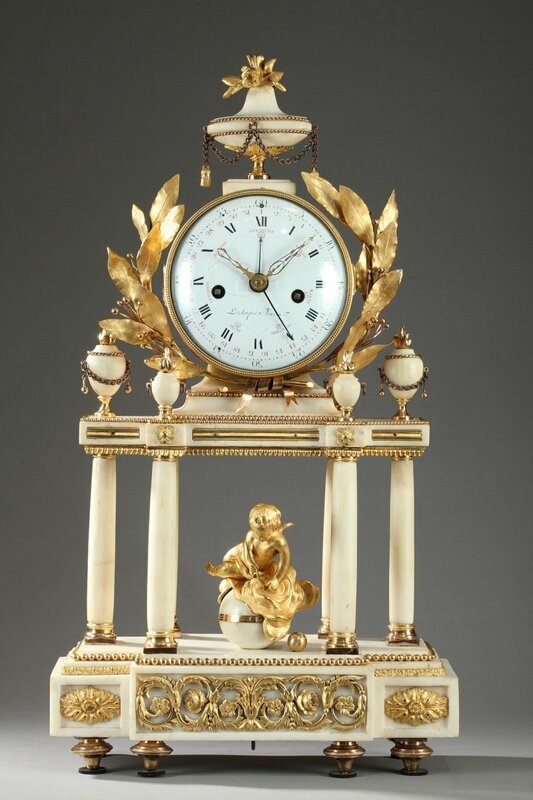 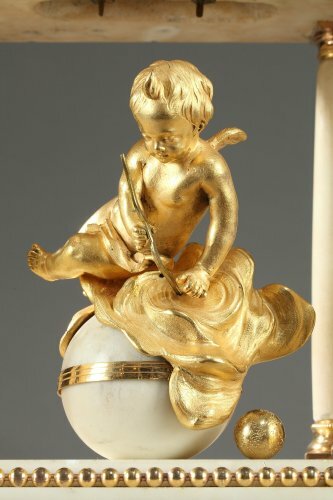 An important clock pendulum with dates and dates, Louis XVI in white marble and golden bronzes with mercury in two colors. 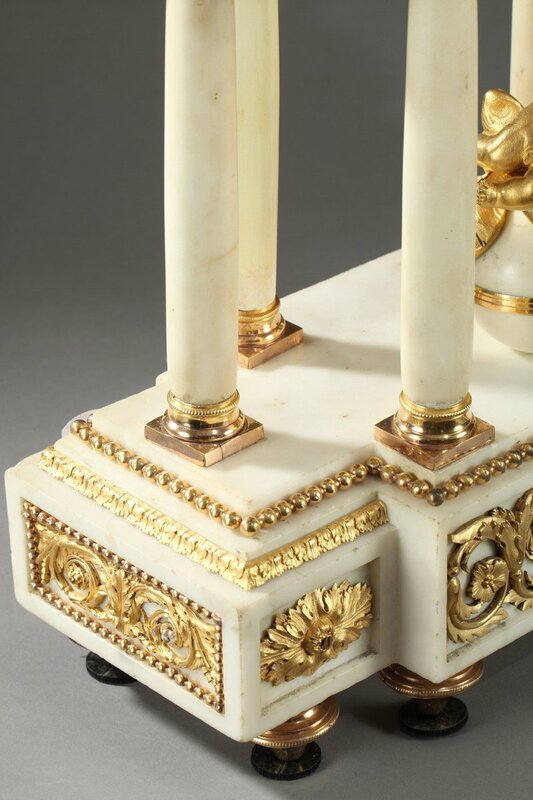 The base with a central projection rests on tops, a love on a cloud is framed by six columns surmounted by pots. 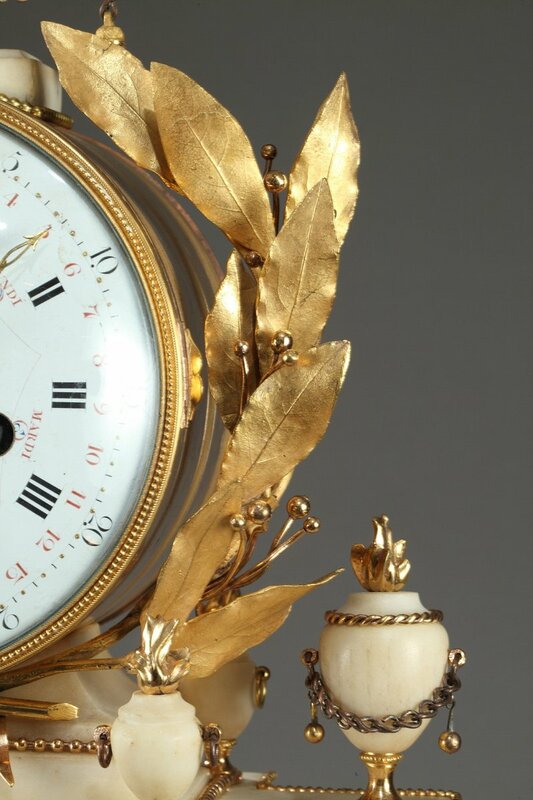 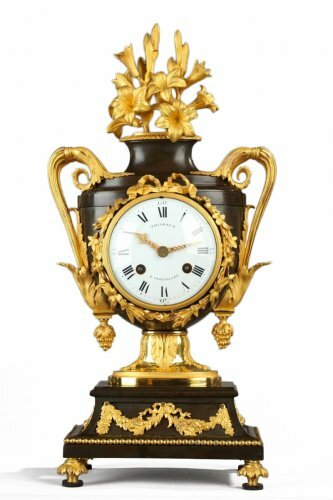 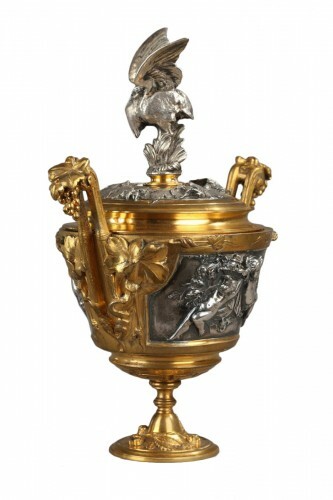 The movement is girded with laurel wreaths finely chiselled and surmounted by a flowery vase; Perlages, chains, pompons, grenades and friezes enrich the decor. 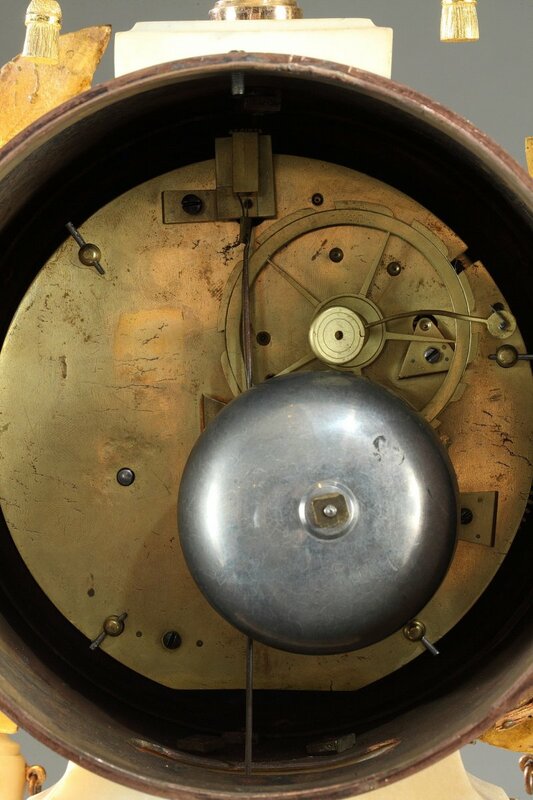 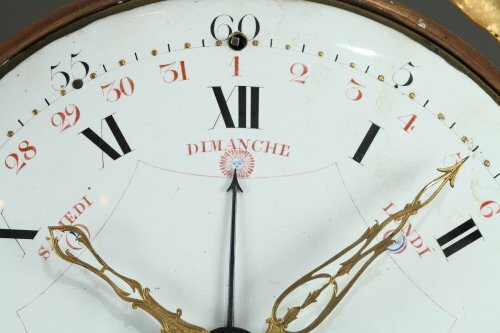 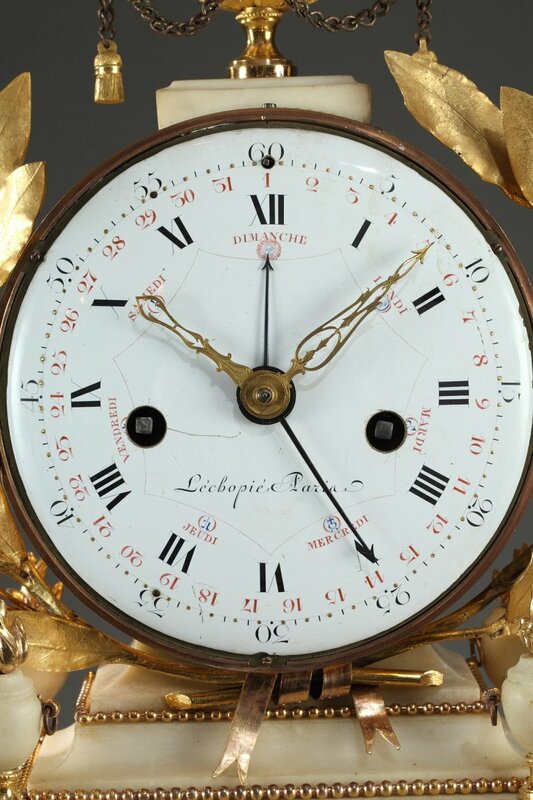 The dial indicates hours in Roman numerals, minutes in Arabic numerals, dates, days of the week and their zodiacal signs. 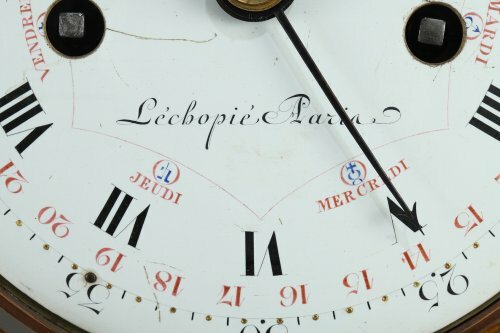 It bears the signature: L 'ECHOPIE in Paris. 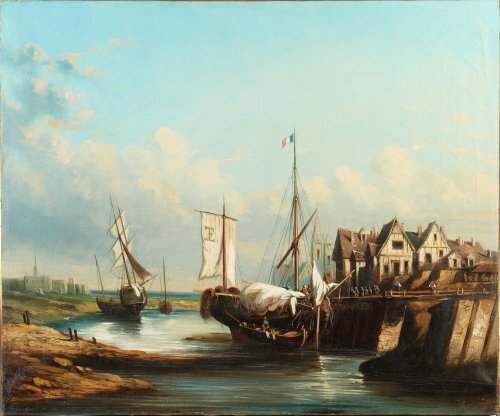 Adam 17721794 new street of small fields.